Configura, maker of CET Designer software, announces the release of CET Designer 9.5. 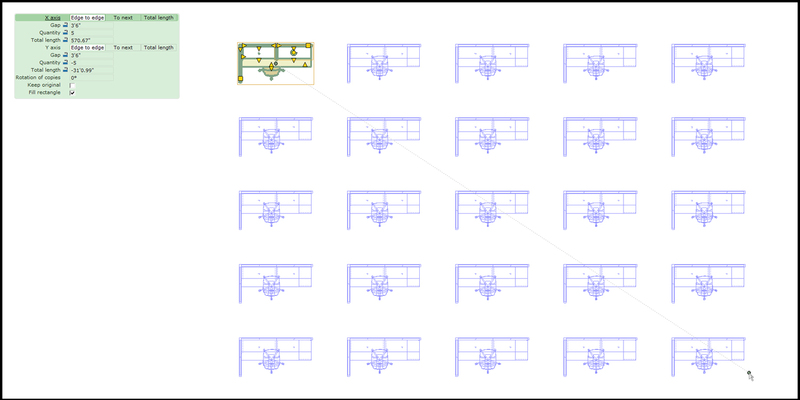 The latest version of the space-planning software includes the ability collapse component tabs, import spreadsheets and remove visual “noise” using a new feature in CET Designer’s Photo Lab. "We’re constantly striving to improve CET Designer and are excited for these new updates with version 9.5. Many of the improvements are inspired by our users, whose input is crucial in helping to shape the future of the software,” Configura Vice President of Global Customer Experience Tracy Lanning said. The ability to collapse related component tabs into a single tab to save space. A new property box, which combines the green and blue input boxes into one. The new property box is collapsible and moveable. Improvements to the Line Replicate and Rectangle Replicate tools to give better visual feedback and tie in with the movement aid option. A new feature to import spreadsheets from an existing file. A new photograph setup feature called Denoising, found in CET Designer’s Photo Lab, which reduces the amount of “noise” that can be seen in some materials under certain lighting. CET Designer has become one of the leading space-planning solutions on the market. It’s used by thousands of designers, specifiers and salespersons around the world. Global contract furniture, kitchen and bath, material handling, industrial machinery, laboratory and healthcare manufacturers and suppliers that have invested in CET Designer Extensions for their companies and dealers include AJ, Allsteel, Apex Office Furniture, Aurora Storage Products, Bisley, BuzziSpace, Carvajal Espacios, ChargeSpot, Chief, Clarus, Connectrac, Dauphin, Dekko, Diversified Woodcrafts, Emagispace, Enwork, Euro Chair, Global Furniture Group, Haworth, Herman Miller, HNI India, HON, Ideon, Indiana Furniture, Inscape, Interior Concepts, ITAB Shop Products, Keilhauer, KI, Kimball, Maars Living Walls, Maxon, Midmark, National, Novah, OFS, Oi Furniture, SitOnIt Seating, Solinoff, SpaceCo, Spacefile Steelcase, Sunon, Teknion and Tranquil. Release notes for CET Designer 9.5 can be found at support page.